You'll be £14.99 closer to your next £10.00 credit when you purchase T-54/55. What's this? Order within the next 4 hours, 47 minutes to get your order processed the next working day! Good value for the tankie. This new title in the Images of War series is bound to be popular, not only with model makers and enthusiasts, but owners too. A useful introduction to the myriad variants of T-54/55. 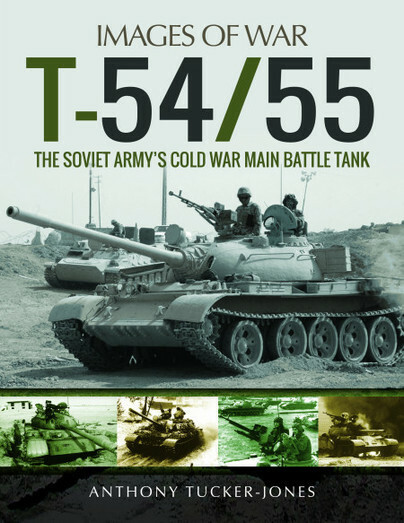 The book gives a good look at the T54/55 story and makes a good job of it. In the later years though the number of photos which illustrate many knocked-out/destroyed examples, its' age is certainly clear. In addition to the nice clear detail references for the modeller, there are a number of photos which will inspire some model dioramas as well I have no doubt.